The English Premier League is only at an early stage. However, a number of surprises were presented in the Queen Elizabeth II’s highest competition, one of which was Watford’s outstanding performance. One of them was the success of the club’s bottom line last season, Watford, who appeared impressive this season. The team nicknamed Hornets capable of pushing into the top flight with a record of always winning in four games this season. Watford, which last season was almost relegated and finally finished 14th, now seems to be turning into a top team. The four-time winning record equals Liverpool and Chelsea (12) points which occupy the top and second positions of the current Premier League standings. Watford, who ranked third only lost on goal difference from the two teams. The Hornets were even able to beat one of the strongest teams, Tottenham Hotspur, with a score of 2-1 in the fourth week of matches at Vicarage Road Stadium on 2 September. It is interesting to review the factors of success the club was able to climb to the top four of the Premier League. The most prominent factor is the presence of tactician Javi Garcia, who came on for Marco Silva in January 2018. 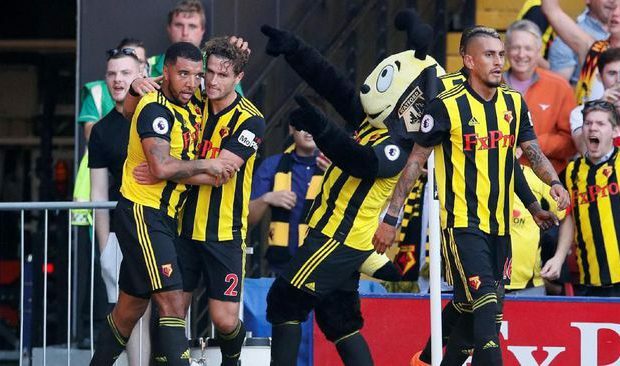 Based on Opta statistics since Gracia became manager of Watford, the team based at Vicarage Road was the Premier League team that won the most (10 times) at home. Gracia was able to completely change Watford’s game style this season. Although originally from Spain, which is identical with dynamic football and attacking, Gracia is known as a coach who carries a pragmatic philosophy. This was not too surprising because he was a figure of coach who had crossed the European Leagues so he was open to accepting a more pragmatic approach. Thanks to his approach, Gracia was able to bring Malaga to beat Barcelona 1-0 in the 2014/2015 season. A year later Malaga was able to hold Real Madrid’s strong team 1-1. To his surprise, Graca successfully boosted Malaga’s position in eighth place by conceding only 35 goals in the Spanish La Liga 2015/2016 season. That amount is only one goal less than second place, Los Blancos. The 48-year-old coach tried his luck to deal with Russian club Rubin Kazan, but only lasted one season because he failed to bring the club to the top. Had rumored to be returning Athletic Bilbao, Sevilla, or returning to Malaga, Gracia chose the adventure in England. Gracia is known to be able to mix the team with a very strong defense force. In the Premier League, Watford have only conceded three goals in four games. That number is equal to the number of conceded against Chelsea and Manchester City. Although focusing on strengthening the defense, Gracia did not necessarily make his team truly survive in total against the opposing team. However, he is also not a fanatical type of tactical interpreter with attacking style of play. Through a pragmatic style, Gracia relied on the effectiveness of the attacks implemented at Watford, while strengthening the defensive wall. With the game, The Hornets are still hard to penetrate. In fact, known Tottenham who have sporadic attacks are only able to create one goal. About pattern of the game, Gracia is not far from the 4-4-2 scheme. Nevertheless, Gracia is a figure who is flexible enough, implementing a strategy not only adjusting the characteristics of the team, but also the inner mood of the player. “I’m not the type of coach who entered the team then said: ‘No, I want to play this way and so, playing with 4-3-3 and always playing 4-3-3.’ It’s not a good manager,” Gracia said as quoted by Sky Sports. Thanks to his highly adaptive abilities in teaming up, Garcia did not have trouble bringing stability to the team including Watford. The new players who brought Gracia to Watford this season are arguably not too special. Those who recently joined were former Barcelona player Gerard Deulofeu, Isaac Lucas (Malaga CF), Domingos Quina (West Ham), Marc Navaro (Espanyol), Adam Masina (Bologna), Ben Wilmot (Stevenage) and goalkeeper Ben Foster (West Bromwich) However, he was still able to create balance in the team. Gracia was even able to revive the potential of the old players in the team. Including able to sharpen the sharpness of two spearheads of Watfod, Troy Deeney and Andre Gray. In midfield, Roberto Pereyra and Will Hughes played brilliantly this season. Pereyra has so far packed three goals in four games. Changes are also most noticeable in the sector behind Watford commanded by Christian Kabasele. The Hornet’s defense has become stronger this season. Interestingly, Watford was also likened to be Leicester City when the team was able to win the English League trophy in the 2015/2016 season under the direction of Claudio Ranieri. Though the Foxes had almost been relegated the previous season. Watford also had a near relegation last season and survived after finishing 14th. This season, they immediately step on to the top with a clean sweep of victory in four games.